We love to tie these amazing treasures to the regions where we find them. 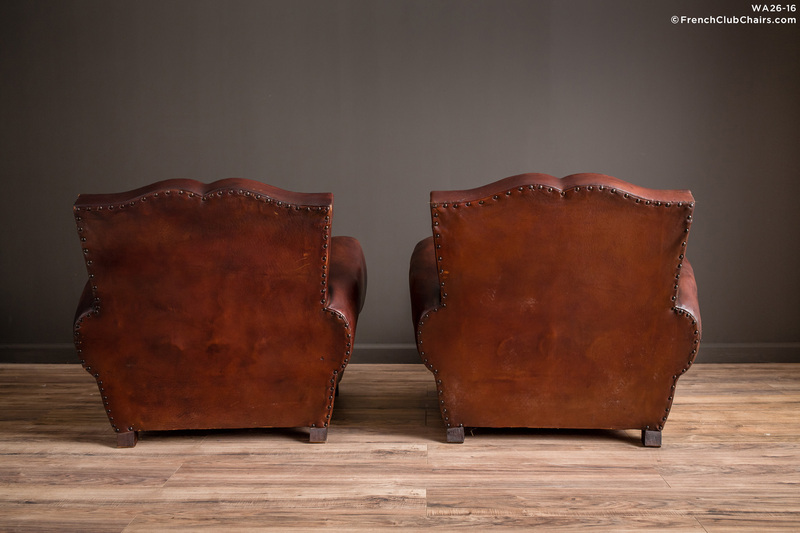 This fantastic pair of dark chocolate Mustache Club Chairs were purchased from a private home in the lovely seaside town of Royan, just north of Bordeaux. The have all of their original leather and are in very good overall condition. Circa late 1940s. Looking for a darker pair of these classics?....you found them! measurements: depth-36", width-36", height-31", seat depth-23", seat width-19", seat height-15"